Japanese knotweed is one of the most prolific and difficult weeds to remove from your landscaping. At Bark and Branch, we offer high-quality Japanese knotweed removal in Manchester in addition to our tree pruning in Manchester services. But why is it that you need a professional to handle this process for you? Can’t you handle it like you would any other site clearance in Manchester? Not so fast. Japanese knotweed is first and foremost, a plan that must be disposed of according to government regulations. It requires a specific process and cannot be tossed into a landfill since it is so easily spread. As a hazard, you have to follow local regulations for proper disposal. Are you ready to read a rule book and put it into practice? Probably not. 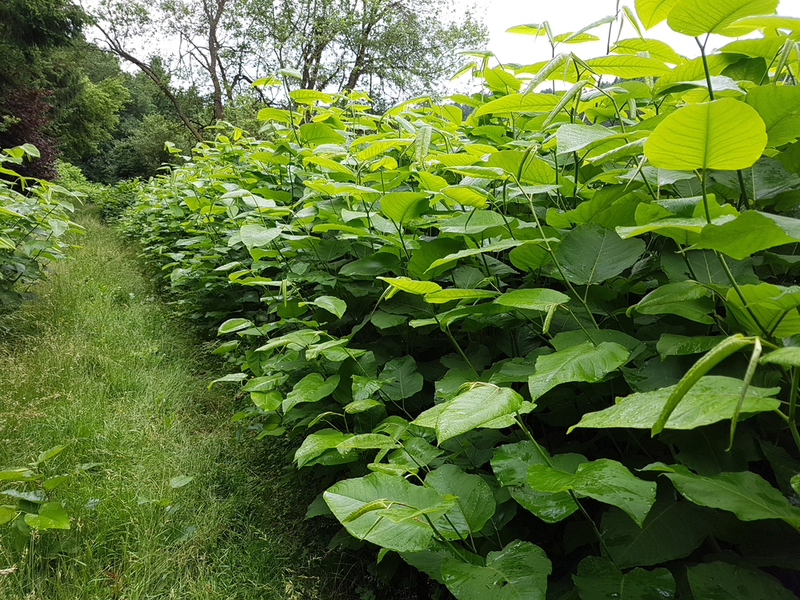 Another reason you might want to consider hiring a professional for your Japanese knotweed removal in Manchester is that the plant can spread on your property. If you remove it incorrectly, the rhizomes can spread through the dirt, even if you think you’ve removed all the roots. It is far too dangerous to use traditional methods of removal. Yet another reason a professional should handle this process for you is that it is so treatment resistant. Just when you think you’ve killed the plant, it pops back up to creep up and destroy the rest of your landscaping. That’s the last thing you want as you have likely spent thousands getting it just the way you like. At the end of the day, you have to hire a professional for this process because you cannot do it all alone. Just like with site clearance in Manchester or tree pruning, removing Japanese knotweed requires knowledge, experience, and proper equipment. Luckily we have all of that and more. For more information about our services and how we can help and make sure knotweed never comes back, give us a call today.